Welcome to Planting Partners, a Gardening Services provider for the Oakham, Stamford and Uppingham area. Planting Partners maintain, develop and manage gardens to a high standard. A range of services are available including full garden design, one-off garden makeovers, and borders and plants consultancy. Planting Partners has grown over the last twelve years and based upon reputation alone has developed into a many faceted garden services business. In that time, work has been carried out in gardens large and small, one such garden was a 3 acre walled site attached to a country house which was developed and managed along with a small team for over ten years. 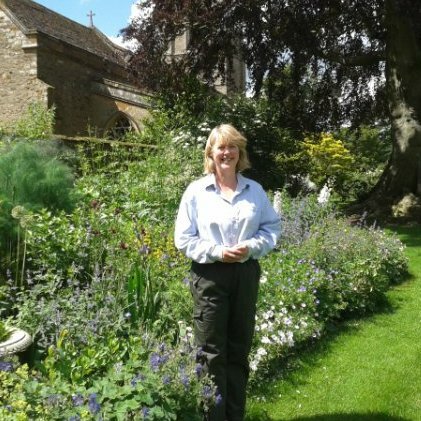 As the principal of Planting Partners Amanda Banfield, has extensive horticultural experience and training, with formal qualifications including Pesticide handling, FdSc Horticulture and Garden design and a First class honours degree in Land Management from Northampton University. Amanda is a Member of the Chartered Institute of Horticulture and Member of The Gardeners’ Guild. Planting Partners has full professional indemnity and public liability insurance. Endorsement – ‘My garden is wonderful, I find myself just standing in different spots gazing at it from another angle. Everything from initial contact with Amanda through plan to becoming a reality was perfect’. For more information on services available, please contact Amanda.